“…There’s nothing for it then but to explain. 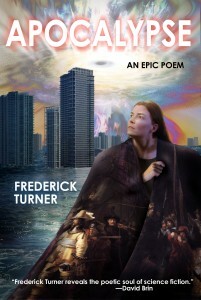 Frederick Turner is an internationally known poet, lecturer, and scholar, and Founders Professor of Arts and Humanities at the University of Texas at Dallas. Today marks the launch of his epic science fiction poem, APOCALYPSE, with Baen Books. In October, APOCALYPSE will be available as an ebook and in print. Until then, follow on Baen.com as they release a section of the poem every week via serialization. Congratulations Frederick and happy reading to all! ← Cheering for Roni Loren at the RITAs!